The Chicagoland Evaluation Association has graciously extended an invitation to AEA affiliates (NM Eval is one!) to participate at no cost in their upcoming webinar with Amelia Kohm, PhD, founder of DataViz for Nonprofits. 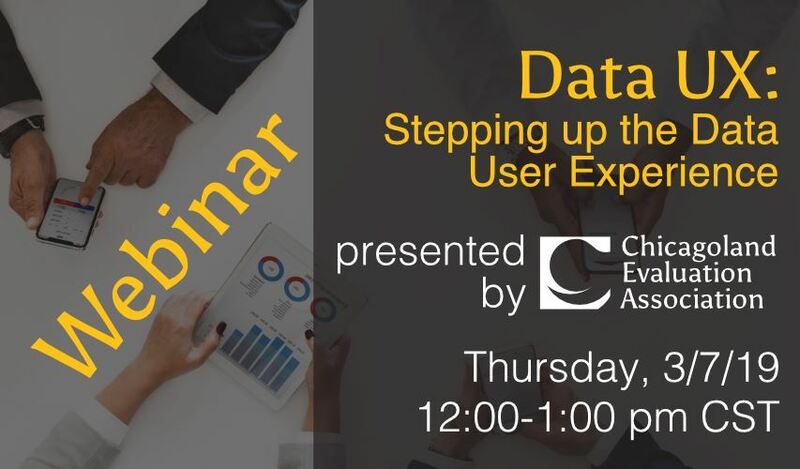 Data UX: Stepping up the Data User Experience will focus on data visualization theory and how to customize data presentations to best serve your audience. Information and registration are available here. Use the code "LAC" under the LAC Local Affiliate Member registration option to secure your free registration.